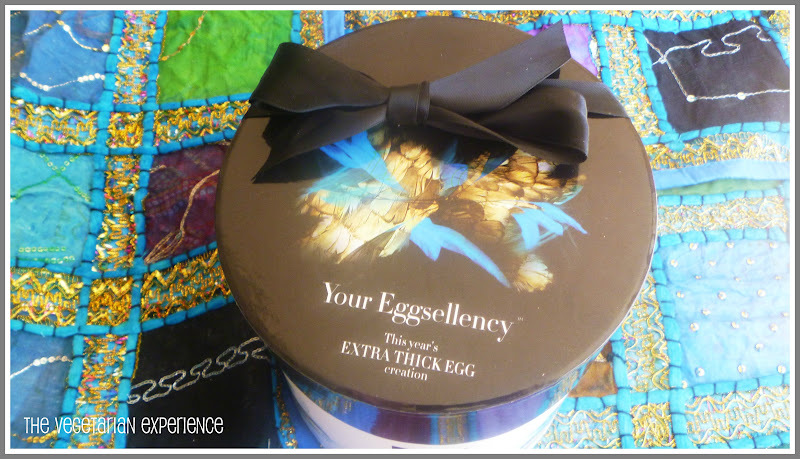 The Vegetarian Experience: Hotel Chocolat "Your Eggsellency" Extra Thick Easter Egg - Review & Giveaway! 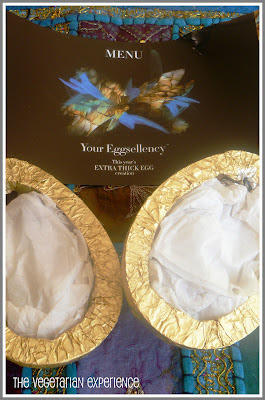 Hotel Chocolat "Your Eggsellency" Extra Thick Easter Egg - Review & Giveaway! It feels to me like we have only just got Christmas and Valentines out the way, but yet here we are at the end of March, the daffodils are blooming, the lambs are a lambing and spring has most definitely sprung. With only a few days left of the school term, Easter is now definitely firmly on the horizon. Easter is always a lovely time in our household, spent with family, typically by the sea. Food wise, as well as hot cross buns & simnel cake, chocolate also features highly at Easter, just as it does on most other holidays. An abundance of chocolate Easter eggs have been in the shops over the last few months, encouraging us to stock up for our nearest and dearest. You may wonder how eggs are linked to the true meaning of Easter.... well the Easter story recounts how Jesus died & rose again on Easter Monday and so eggs are said to symbolise the Easter story & the start of new life - as a new life emerges from an egg when it hatches. So this is why chocolate eggs are given as gifts at Easter. Purely for the good of my readers, I have kicked Easter off early this year and have already begun tucking into a delicious Easter Egg from Hotel Chocolat. I was invited to review an Easter Egg from the Hotel Chocolat range and chose the "Your Eggsellency" Extra Thick Easter Egg. 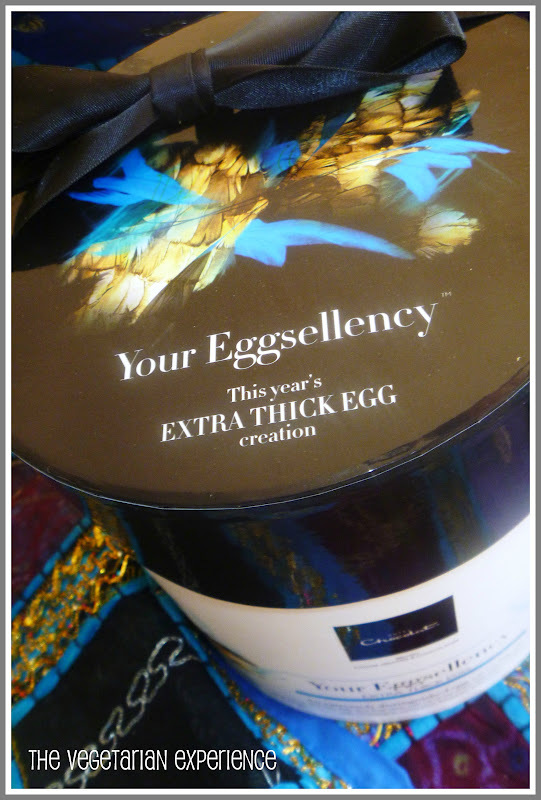 The "Your Eggsellency" Extra Thick Egg contains a milk and a dark chocolate shell and 12 delicious soft centred truffles. I mainly chose this egg as the prospect of an egg filled with truffles was very exciting, and also because of the beautiful packaging - the egg looked so elegant and so grown-up! The packaging is a far cry from the cheap cardboard & plastic packaging you find in the supermarkets, and better for the environment as you can keep the box to store things in. Best of all it was vegetarian too. 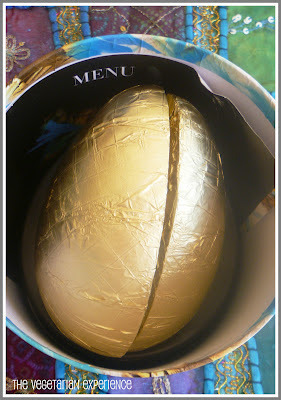 This is what I found when I lifted the lid of the Easter Egg, two half shells wrapped in gold paper. What amazed me most was the thickness of the egg - look how much chocolate is hidden underneath that gold paper! One shell is made with 40% Cocoa house milk chocolate and the other is made with 70% dark chocolate. The truffles were hidden away in the middle of the eggs. Once unwrapped, I found that there are 12 truffles filled with soft cream ganache with flavours including champagne, pink champagne, vodka, amaretto and mojito. The mojito truffles were my favourite - they tasted absolutely delicious, closely followed by the pink champagne truffles - so decadent! 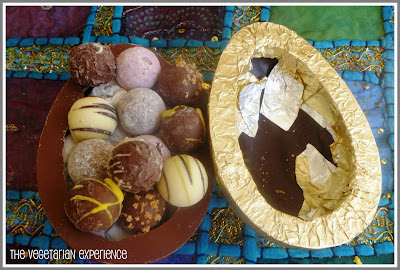 This Easter Egg left me lost for words as I have never seen an egg containing so much chocolate in it! At £26, it may not be the kind of egg you would buy for everyone, but this would be a perfect gift for your nearest and dearest or a special friend. Hotel Chocolat have a great range of Easter gifts this year and the range starts at just £5. I love Buttons the Easter Bunny and Quackers the Duck (£6.50) - both perfect for the kids. The grownup range includes this Mini Pink Champagne Truffle Easter Egg (£8) and the classic Easter Egg "H" Box (£12). They also have some wonderful Extra Thick Chocolate Easter Eggs (£26) and you must take a look at these rather lovely Large Ostrich Eggs (£70) filled with Chocolates. I think you could definitely find gifts for the whole family in Hotel Chocolat, and the quality, individuality and range of gifts is fabulous. So how would you like to be in with a chance of winning a Hotel Chocolat "Your Eggsellency" Extra Thick Easter Egg of your own? Hotel Chocolat have kindly provided me with a "Your Eggsellency" Easter Egg to give away to one lucky reader of the Vegetarian Experience. Tweet the following: "I would like to win a #Hotelchocolat Extra Thick #Easter Egg with @veggiexperience" and leave me a comment to so that you have done so. Follow me: @Veggiexperience and leave me a comment to say are already following or have done so. 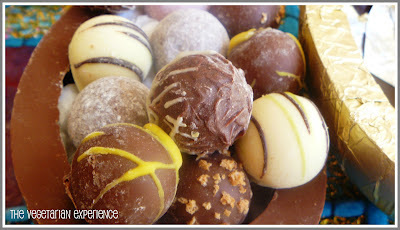 Like the Hotel Chocolat Facebook page and leave me a comment to say you have done so. Like The Vegetarian Experience Facebook Page and leave me a comment to say you have done so. 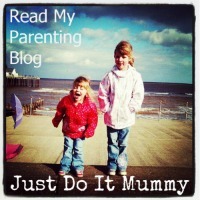 Follow this blog (or let me know that you already are). Please leave a comment for each entry. If you are on Twitter, please leave your Twitter ID as it makes it easier for me to contact the winner. If you are not, don't worry and please still enter the competition, but please leave me your name at least or an email if you are posting as anonymous as I will contact you via other means. If I don't have your name or contact, I can't send your prize out to you! The competition will close at 10pm on Tuesday the 3rd of April 2012. The winner will be chosen via an online randomiser and the prize will be sent directly from myself. Terms & Conditions: The winner will receive one Hotel Chocolat "Your Eggsellency" Extra Thick Easter Egg worth £26. The draw will close at 10pm on the 3/04/12 and only entries received before this time will be entered. There will only be one winner, who will be chosen via an online randomiser. There is no cash alternative or substitution available. The winner will be contacted soon after the draw closes and asked to supply their address to me which will be purely for the purposes of sending the prize to the winner. If no response has been received within 3 days, a new winner will be chosen. Entrants acknowledge and accept the terms and conditions by submitting a competition entry. For any questions or queries, please contact me. Thanks! Clare. 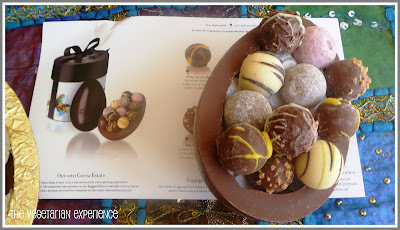 Disclaimer - I was provided with a "Your Eggsellency" Hotel Chocolat Egg to review and one to give away to a reader of my blog. All views are my own. The champagne easter egg.....because i'm worth it! please leave me a name or email/twitter id Anonymous! I'd like to have The Gianduja Truffle Easter Egg because it sounds delicious and my husband would like it too. And I've just tweeted about the giveaway! Plus follow you on twitter! I'd love to win your Eggsellency egg very much indeed! A Rocky Road to Caramel Extra Thick Easter Egg because it looks AMAZING!!! I'd love to receive the Classic Eggs & Soldiers because they look interesting and delicious! I like the Hotel Chocolat Facebook page (FB name: Madeline Brubaker). I'd like a large ostrich egg so that I'd be in with a chance of actually tasting it before my goats (sorry - I mean my kids) have finished 'just looking' at it! I like hotel Chocolat on facebook. I'd like the "Your Eggsellency" Extra Thick Easter Egg please - as after that review I'm sat here salivating into my keyboard! Would I buy the "You Crack Me Up" egg? Not half. Makes 'serious' choc eating an Easter Day laugh! daughter and I are both vegetarians! so we will be checking out yor recepes on a regular basis! The Rocky Road to Caramel extra thick egg, Hotel Chocolat's caramel choc is gorgeous! The Champagne Truffle Easter Egg because I'm a Champagne and chocolates kinda gal. Has to be the Classic Egg and Soldiers, they make me nostalgic! I'd love one of those HUGE Ostrich eggs, I would have to share it with the whole family though as they are so massive!